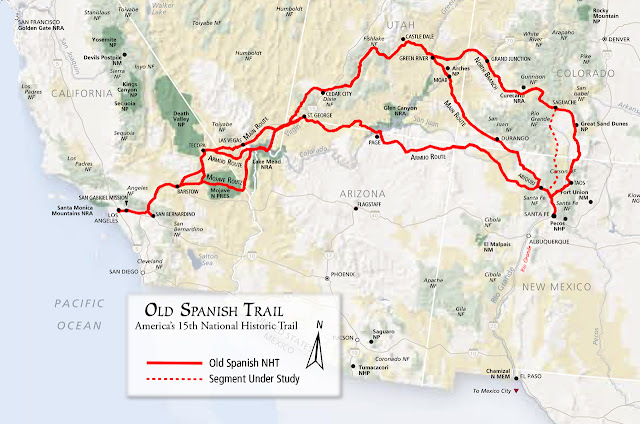 The central route of the Old Spanish Trail, which had to swing north to avoid the impassable Grand and Glen Canyons on the Colorado River, ran northwest from Santa Fe through southwestern Colorado, past the San Juan Mountains, Mancos, and Dove Creek, entering Utah near present day Monticello, Utah. The trail then proceeded north through difficult terrain to Spanish Valley near today's Moab, Utah, where it crossed the difficult and wide Colorado River and then turned northwest to cross the treacherous Green River near present day Green River, Utah. The route then passed through (or around) the San Rafael Swell, the northernmost reach of the Trail. Entering the Great Basin in Utah via Salina Canyon, the trail turned southwest following the Sevier River, Santa Clara River and Virgin River before ascending the Mormon Plateau and hitting the Muddy River in present-day Nevada. From there, it was a 55 miles (89 km) waterless trip crossing southern Nevada to the springs at Las Vegas, Nevada. ... Read more. 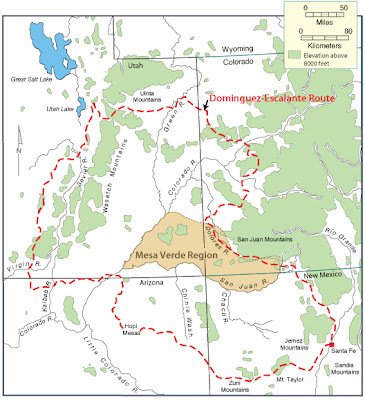 The above map shows the enlarged portion of the trail where it passes through East central Utah and then into Dove Creek Colorado. The above photo shows the remains of the trail just north of New Castle Utah. The above photo shows the remains of the trail near Enterprise Utah. 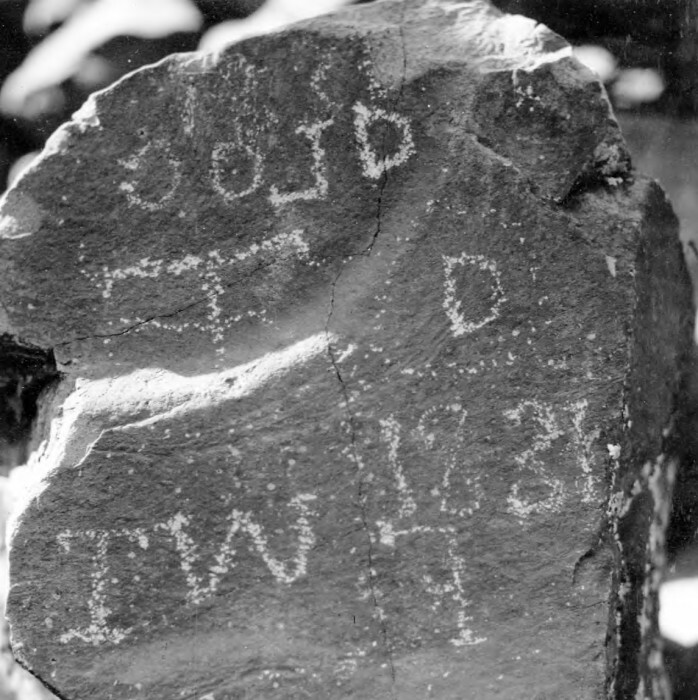 This inscription is was found along the Old Spanish Trail near Paragona, Utah. 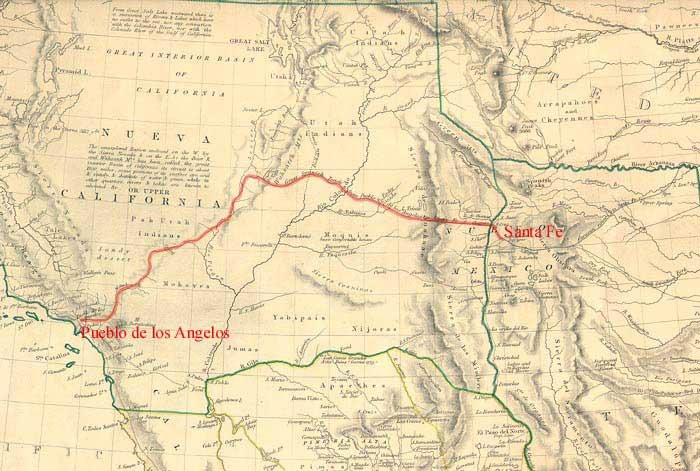 While this is the main route through the west for the Spanish, it definitely was not the only route they traveled. Several expeditions ventured further North; one of which was the famous Dominguez, Escalante expedition. 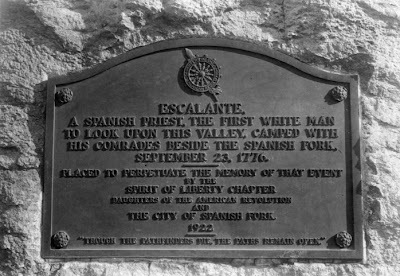 The Dominguez-Escalante Expedition of 1776 was searching for a route from Santa Fe, New Mexico, to the Spanish settlement in Monterey, California. 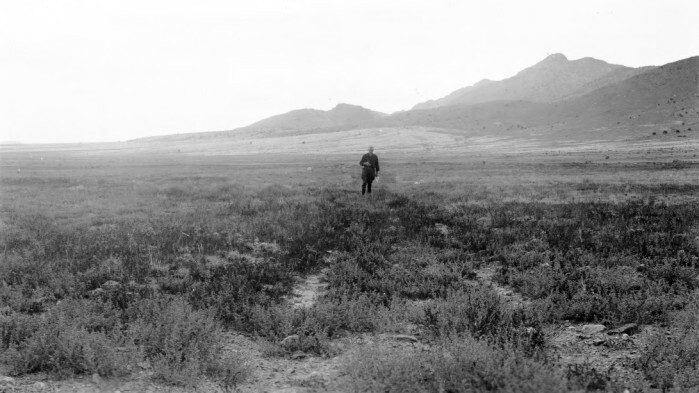 The members of the expedition never reached their destination, turning back in northwestern Utah. The above plaque is found near the mouth of Spanish Fork Canoyon in Spanish Fork, Utah where father Escalante entered Utah Valley for the first time. 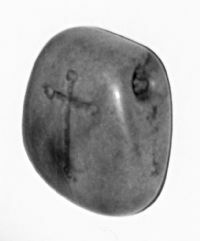 The amulet above was found at Iron Springs West of Cedar City, Utah along the Old Spanish Trail. It is believed to have been from the Donimguez-Escalante Expedition that camped at the spring in 1776. LaVan Martineau, famous for interpreting petroglyphs, deciphered the following petroglyph about the Dominguez-Escalante expedition. 24. Martineau, 1973, p. 85-91. This petroglyph shows the Indian account of the 1776 Dominguez-Escalante expedition on their way south crossing through what is now Washington Country, Utah. The Indian guides tried to lead them toward the Colorado River Lee's Ferry crossing. But as they reached a narrow portion of a canyon, the Spaniard's horses would not go further. Fearing that they would be blamed, the guides fled to the top of the canyon. The Spanish continued south as they intended, heading toward the impassible Grand Canyon. Note the "deo" (21) and "dei" (22) showing latin words "to God" and "of God" that the Indians drew to show the unusual method of writing that the Spaniards used. Symbol 20 emphasizes the wide canyon trail they eventually took. "The white soldiers came into the land of the Navajo, and sought to make us believe them and go with them to another land. In order to accomplish this they made their camps in our cornfields, piled the corn up, and burned it. They also killed most of our sheep. Instead of submitting to surrender, however, we closed our ears to their words and would not believe them. We relied upon our strength and retreated to a rough canyon (Canyon de Chelly), wherein we could hide and fight. The soldiers entered this canyon in the midst of winter to punish us and make us believe what they said. They had difficulty in passing through the canyon, and some soldiers broke through the ice and hurt (froze) their feet. Those of our people who were in the bottom of the canyon at this time fled to the tops of the cliffs where they could have a better hold, and could fight from above. But we were suffering from hunger and could not fight as effectively as the soldiers below. Thus we showed little resistance. Many of our people who were watching from their hiding placed later left these places to surrender to the soldiers in order to obtain blankets, get food to heal their hunger, and warm themselves by the fires. We thus sought the safety of the soldiers. Those who had made a defiant stand were captured and confined to prison. Those who escaped were pursued. 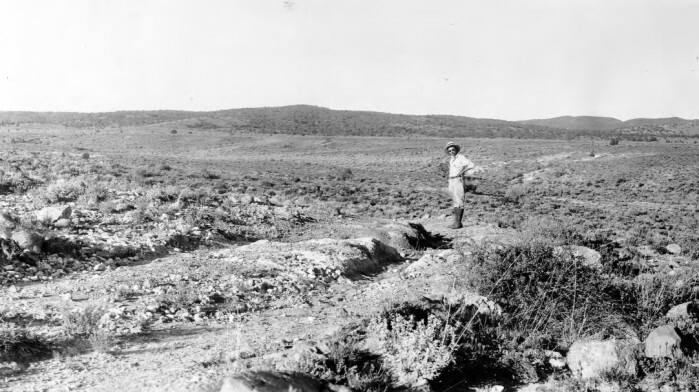 Those who refused to leave the canyon were killed and mutilated. Because of our hunger, the killing of most of our sheep, the war upon the corn, and the pursuit of those who fled, the hand of death was placed in our path. In our weakened condition, and in order to heal our hunger, we surrendered. 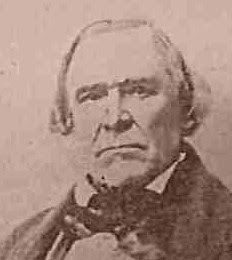 Thus we left the dangerous path of fighting behind us, and this war upon us and our cornâ€“so harmful to both our land and ourselvesâ€“ended. After our surrender, we journeyed across a large river (Rio Grande). Here some of our people drowned and were carried away by the current. This journey took us to a flat land upon which the soldiers lived and where we were to stay."